Magnum is a multiple best of breed puppy winner, he also is best in show puppy in ARBA and the North American kennel club and rarities also he is a best in breed puppy in the American King Shepherd Club Spring Extravaganza, he was 9 weeks old in this picture and won his first ribbon in the spring show. Magnum also has best of breed, winners and best of winners,wins. 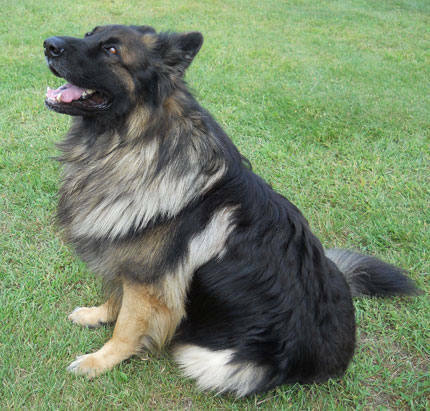 he has earned his championship title from ARBA the American Rare Breed Association and he has just earned his second championship title at the spring 2012 American King Shepherd show that was held in Pennsylvania this past April. Magnum has a wonderful personality. He loves to roam free on our 120 acres and takes on the role of protector of the land. He is definitely a head turner with his magnificant large head, heavy bone and straight topline. Magnum tips the scale at 130lbs + and is not that light on his feet but does love to get into the show ring with me and prance around proudly. He was bred to Champion pointed Chateau De Chief's January's Garnet Girl this March 2012. This breeding produced 2 very large big boned boys with the black and red colorings in their coats. 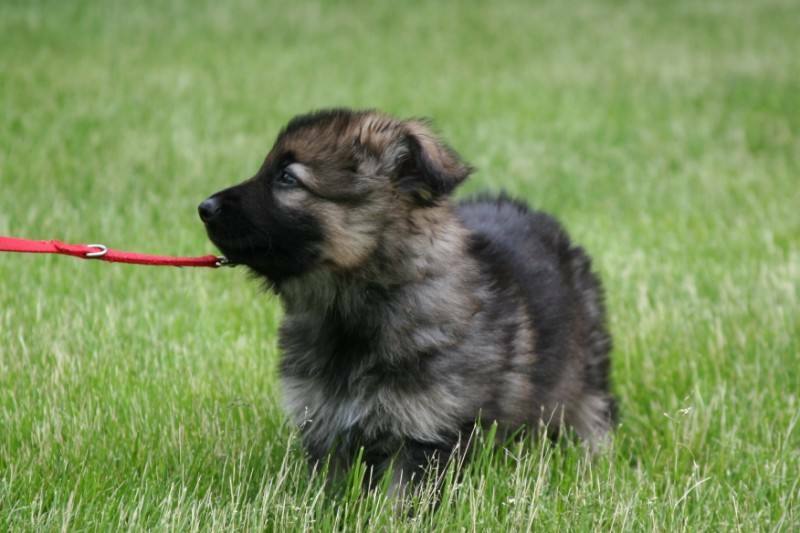 Stud services are available to any recommended female King Shepherd.